Delinte Tires' Thunder D7 is an ultra-high summer performance tire. It's blaze-shaped tread pattern and strong shoulders are designed for speed. Four wide longitudinal grooves expel water to help resist hydroplaning. The circumferential center groove is specifically molded to reduce vibration and reduce tire noise at high speed. 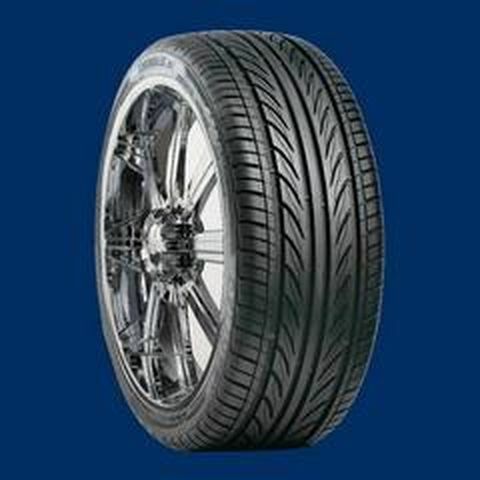 Specialized tire compound grips the road, brings a comfortable ride, and supports fuel economy. Purchase includes the Delinte Thunder D7 tire only. The wheel rim shown in the picture is not included. Picture provided is a stock picture from the manufacturer and may or may not reflect the actual product being ordered. All Delinte Thunder D7 tires are continuously developing with manufactured improvements. With that said, Simple Tire and the manufacturers have the right to change these tire specifications at any time without notice or obligation. Please Note: Specifications of the Delinte Thunder D7 tires shown above are listed to be as accurate as possible based on the information provided to us by Delinte tires. I have had to replace two tires already due to sidewall splitting. The first tire after about 2 months and less than 4000 mikes and the second at about 7000 miles.This is my experience with the 245/30/22 size tire. Very disappointed as this size tire comes with no warranty and obviously has a manufacturer defect.